o Touch screen with gravity sensor: an intuitive and ergonomic navigation. o Internet: thanks to the built-in Wi-Fi, surf on the Internet. o A platform with 3700 Apps: discover the Lexibook® Market for fast and secure download of the best content and apps. You will find the classic Apps such as Facebook®, Skype®, TuneInRadio®; but also many games: colouring activities, puzzles… Lexibook® Market offers you the possibility to secure and filter all apps non suitable to children with a password. o Multimedia: a universe specially dedicated to listen to your music, to watch your videos and to look at your pictures. 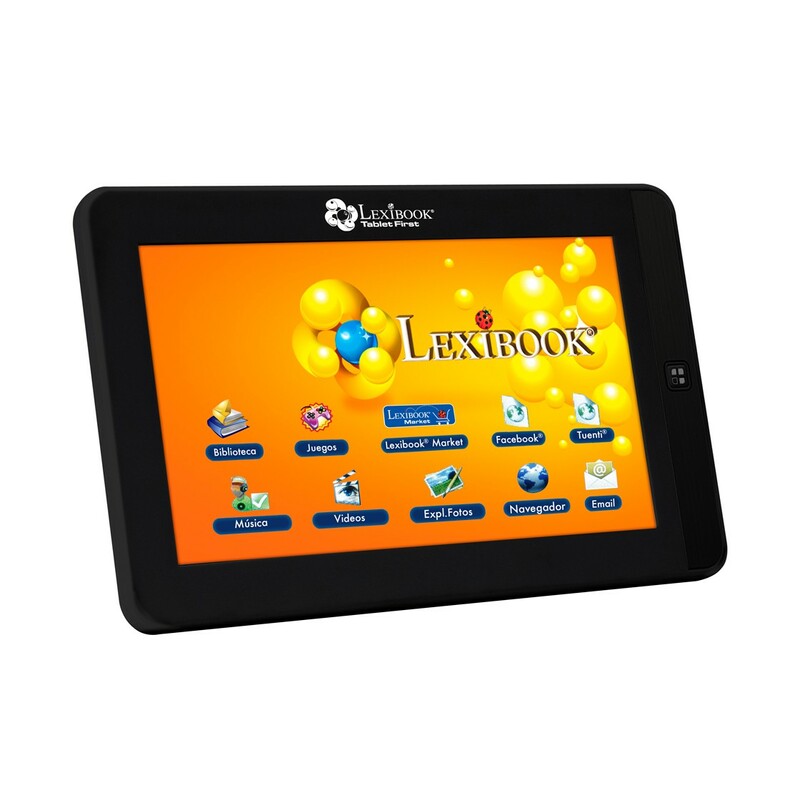 Opinión "Lexibook® First Tablet "